Whether you special needs child is in home-school or traditional school, there is still a need to supplement their education. This means that you have to get creative when it comes to the curriculum. Your child learns differently, so avoid the cookie cutter. Yes, you will take the personality of your child into consideration BEFORE the disability. Personality is how you personalize education. These and several others questions will need answering when it comes to supplementing the education of your special needs child. Traditional schools will teach all the children the same way unless they have an IEP or 504 plan. Even these do not guarantee that your child is getting the skills they need in life. Supplementing their education is more than reinforcing academics, it is teaching them life skills. You have to treat them as individuals and tailor lessons to the way they learn the best whether from reading, watching instructional videos, writing about it or doing it themselves. You don't want to overwhelm your child or break the bank so keeping it simple is the best thing to do for both of you, especially in the early stages while you figure out what you are doing. You can supplement education with games, workbooks, printed materials, daily chores and everyday outings. Personalize the lessons to your child, and take advantage of situations that allow you to reinforce what they are learning. Ebooks can really help young children get involved with the literary world. Sometimes, it can be hard to get children to sit down long enough to actually read to them. Fortunately, there are many interactive ebooks available today to catch young readers with short attention spans. For example, if you try to sit your five-year old down and read him or her a classic book like Treasure Island, it’s likely you’ll encounter some resistance. Even if you are trying to read your child an adaptation made for kids, some children simply do not want to sit long enough to successfully read very much of it. But, if you’re to get Treasure Island as an interactive ebook, you get a multimedia experience that include cool pirate-themed music and animated pictures. The more of your child’s senses you can get involved in a story, the better. There are even interactive ebooks that can even read the story aloud page by page. The ebook will often highlight the words as they are read, allowing children to learn the phonics and tone of many words. Interactive ebooks have become particularly popular for parents with children who suffer from Attention Deficit Disorder (ADD). It’s been found that many children with ADD can benefit from interactive ebooks that would never pay attention to a standard book. In these cases, having ebooks available on a computer or other multimedia device such as a tablet get children who wouldn’t touch regular books a chance to read and learn. Reading standard books can be a passive activity than can be difficult to interest highly active children for long. But with interactive ebooks, tapping a screen or click a mouse to make pictures move or change pictures will capture the attention of many hyper children. Children don’t even have to sit still to read a book if they are reading it on a mobile device like an Android tablet or iPad. The children still receive the benefits of being read a regular book and it keeps them busy. 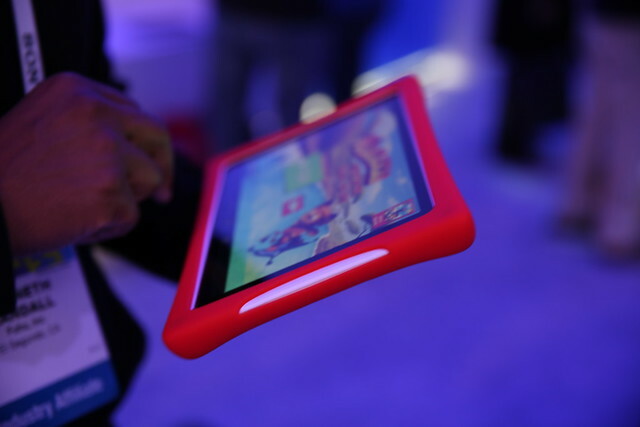 Some people may think that interactive ebooks are too much like video games. But, the educational value of interactive ebooks can’t be overlooked, especially when it comes to kids seeing the words as they are read. The animations can keep a better hold on your child’s senses, something that still pictures in regular books can’t always do. So, if you have a child who resists story time and wants nothing to do with letting you read him or her a book, try out interactive ebooks. You may just find that interactive ebooks are the key to getting your child to love reading. Who knows. 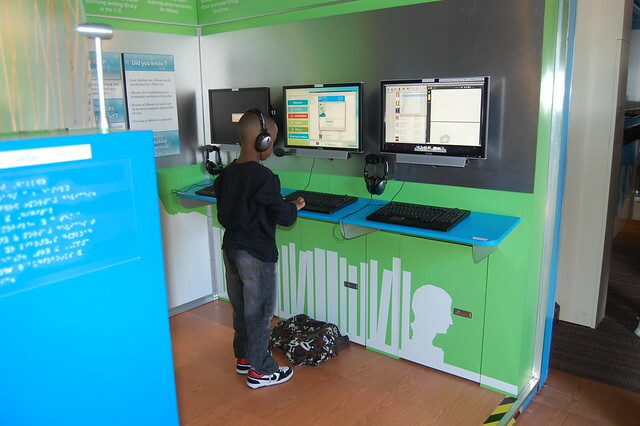 After reading interactive ebooks for awhile, he or she may even pick up a regular book! Interactive ebooks are definitely worth a try. While harder to find than regular ebooks, interactive ebooks, also known as multimedia ebooks, can be lots of fun for children of all ages. Many of these ebooks are interactive books for preschoolers, but they exist for older children, as well. These interactive, multimedia ebooks have audio and video features that can add lots of educational and entertainment value beyond the original book itself. Interactive ebooks have actually existed long before ebooks became even a thought on the internet. Some regular kids books actually came with a CD with an interactive version of the book or activities related to the book. They used to be only available at larger bookstores and by special order. Today, you can still buy them online, but some places allow you to download them. What’s great about interactive ebooks is that your child not only can interact with the book, but can even sometimes alter events within the story itself. No longer are you passively reading the story, but actively being involved with it. “Old school” multimedia ebooks either ran directly off of a CD or comes as an executable (EXE) file that you can download. This is because it’s not a document, but instead a program. Some of them even have the ability to have multiple users and allow the child to enter his or her name to personalize the experience. Some even allow you to put the child’s picture into the story, with adult assistance, of course. Today, there are still plenty of multimedia ebooks, but they are available today as apps from the Windows Store, the Google Play store, iTunes, and other similar software download platforms. They offer the same interactivity as the older multimedia ebooks, but often with a small download size and no need for a disc. These newer ebooks are much easier to find and much less expensive than the “old school” multimedia ebooks on CD. It’s still possible to find some multimedia ebooks in the computer software aisle of big box stores or office supply stores. The ones you can find in these sorts of places tend to be very inexpensive. Not every “old school” multimedia ebook has made its way into modern app stores. Some older ebooks may also not be compatible with newer computers. However, if you happen to come across them and you can get them to work, they are still a lot of fun, although they are limited to being run on a personal computer. If you’re looking for multimedia ebooks not available in your local retail stores, you’ll have to turn to eBay, Amazon, and other online retail websites. This is where they can become expensive. But, it’s also possible to find them at thrift stores or even yard sales. Some of them are even highly collectible if the disc is in top condition. Whether they’re old or new, multimedia and interactive ebooks can greatly encourage young readers by allowing them to be more actively involved with their favorite stories. 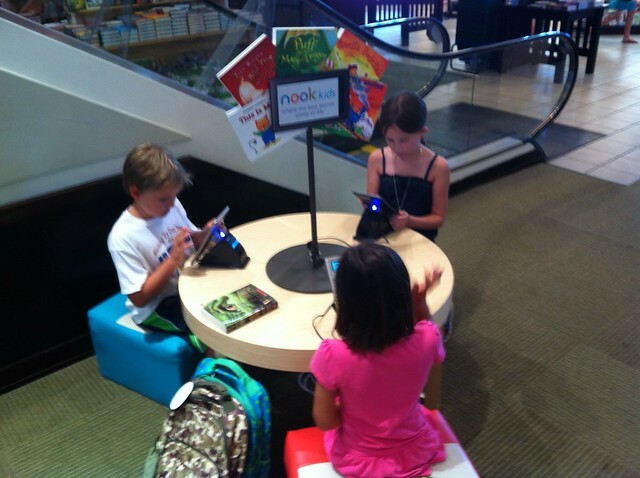 Hopefully, by playing along with these interactive books, their interest in regular books will increase dramatically. They were effective back in the 1990’s and early 2000’s, and interactive ebooks definitely aren’t going anywhere. Ebooks are a hot commodity on the internet. Many of them are given away for free to promote products and in marketing for companies. But best of all, free ebooks are a great way for up and coming authors to gain an easier chance of discovery and name recognition. It’s quite common for aspiring book writers and novelists to turn to distributing free ebooks online to get their work out into the world. There are many reasons for authors to do this. Some are sick of being rejected by literary agents and publishers and decide to self-publish, giving out a free ebook or two to get people to visit their website and sign up for mailing lists. Many self-published authors have done extremely well this way. Despite what some people may think, many authors who put out free ebooks are far from being low-quality. Keep in mind that publishers tend to reject books before they even see anything of the actual manuscript. Publishers will typically reject anything that doesn’t fit in a certain genre or isn’t easily marketable. In particular, many children’s book writers have turned to giving away free ebooks for their first couple of books in order to build their audience. Sometimes, small presses and literary agents who are happy to take a chance on indie authors will discover them this way. Most of the time, these authors are happy to just build their own book business. So, if you discover a quality free ebook from an up-and-coming children’s author - or any author for that matter - be sure to let your friends and family know about them. There are so many websites on which you can find free children’s ebooks. Of course, the major online booksellers like Amazon and Barnes and Noble are a great place to start. But, there are plenty of independent websites that exist almost entirely for the purpose of distributing free children’s ebooks. One good way of getting free kids’ ebooks is to join kids clubs online. These clubs tend to send you free children’s ebooks monthly or even weekly just by signing up by email. Most sites that let you download free ebooks will require that you register with the site by email. Whole most sites are safe, be aware that you may receive a lot of unwanted email due to sites that will sell your email to mailing lists. How sites plan to use your email address should be in the fine print so look at this before you sign up with any sites. Don't pay subscription fees to any free ebooks sites because authors typically give everything away for free. Before reading any ebook with your child, definitely be sure here will be no unwelcome surprises. While discovering a book together can be fun, you never know what you'll find in something you downloaded for free from the internet. Unless you know the author, even if you got it from Amazon or Barnes and Noble, it's better safe than sorry to know the entire book’s contents before sharing it with your child. Most of the time it will be fine, but you never know what strange things a free ebook will have. Be aware that some of these sites have educational ebooks with certain political or religious slants. You will want to review ebooks carefully before actually showing them to your children, of course. Sometimes these slants and agendas are hidden within the book and aren’t openly advertised. Keep this in mind when downloading free children’s ebooks, even from major retailers. Free ebooks for children are an awesome resource. Just be careful what sites you use and look over what you download carefully. Then, you can find some great educational and entertaining resources for your child. Taking full responsibility for your child's education through homeschooling can be fun and exciting. There are many choices to be made. While this freedom has many benefits, parents can also find themselves suffering from homeschool burnout. Some common reasons for burnout aren't even directly related to homeschooling. These reasons can include a new baby or an illness. But, the changes in routines and added responsibilities of doing homeschool can also be factors that lead to homeschool burnout. However, homeschool burnout doesn't need to be a bad thing. It should instead be seen as a wake-up call that you need to make adjustments. Here are 3 tips on avoiding homeschool burnout. Just as you need patience as a parent, you need to be even more patient in your additional role as homeschool teacher. Don't try to be perfect. Have realistic expectations for each day. It's easy to plan too much. Don't set the bar too high. You're going to have good days and bad days. Everyone does. Even the best laid plans can go away. So, don't stress as long as you're making some progress everyday. A major advantage of homeschool is that if you find one teaching method doesn't work, you can change it! In fact, this may be the greatest advantage over traditional school environments. So, if you're burnt out by doing things a certain way, you can try a different method. Also, you may find doing homeschool activities at different times and breaking things up could help relieve tension and stress. Being flexible helps you recognize when you're burning out so you can switch things up. Because you are in full control of your homeschool schedule, it can be easy to pack too much into a day. This is especially true when you're doing a lot of social activities. Even if your child seems to be able to handle it, you need to be able to as well. A burnt out parent isn't any good, as your child will feed off your frustration, which can increase your chances of burnout. Also, whenever possible, it's a good idea to get homeschool support from your spouse, partner, friends, or neighbors. There are also homeschool groups that can help you with social events. Don't try to do everything by yourself if you don't have to and know your limits. Find that happy place where you feel that you can still teach your child effectively and still be an effective parent afterwards, too. Learning doesn't have to be expensive. Kids can learn from the simplest of items. Many elementary learning essentials can be found at the local dollar store. You'd be surprised what you can find for a dollar. Whenever we are running low on learning materials or need to add to our collection, we hit the dollar store first. Basic elementary flash cards can often be found at the dollar store. True they aren't generally more than $5. But if you can get them for only a dollar, why spend more? Flash cards help kids remember things like shapes, colors, numbers, addition, sight words, and so much more. We often find brand name flash cards for multiple subjects and grade levels at our local dollar store. Yes, you can still find elementary-aged books for a buck. Borrow the expensive books from the library. Then head to the dollar store for the bargain books. You never know what you might find. While you can't go expecting a specific book, it's very easy to find great deals on books for the kids at the dollar store. We've scored anything from easy readers, to science textbooks, popular fairytales, children's novels, and more. I love that we can usually find worksheets and workbooks for elementary grade levels . We like to laminate our worksheets to use over and over. But workbooks and reproducible worksheets can often be expensive. That was a dilemma until we started finding them at the local dollar store. We're a family who likes to learn. So we can never have enough of these. The dollar store has lowered our spending on this significantly. Pens, pencils, markers, colored pencils and other basic school supplies can add up quickly. We're always able to find every supply we need for our elementary drawer at the local dollar store. 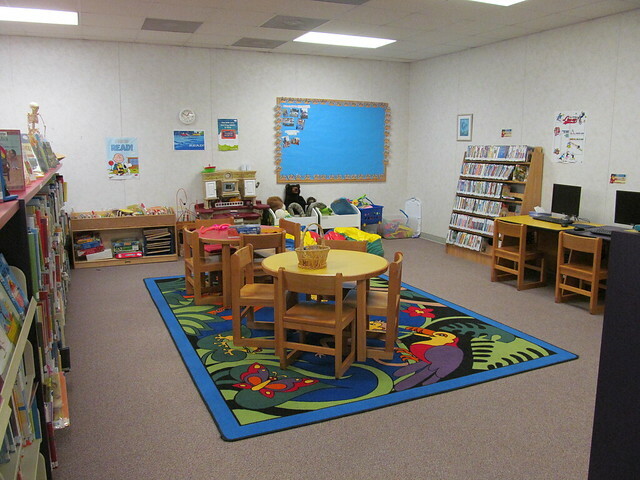 We have a special learning area that we keep stocked with all the basic supplies. Elementary kids are often destructive with their supplies. They also use them up quickly, especially paper and writing/drawing mediums. But when we get them from the dollar store, it isn't taking as much of a chunk out of the budget. There is much more that we often find at the local dollar store. It varies from week to week. But it's always a fun adventure to find out what they have next. What essential elementary learning supplies can you save on at your local dollar store? You can never start your kids' learning too early! One of the classic ways to educate babies and toddlers is the use of nursery rhymes! Today, there's a nearly limitless amount of resources when it comes to nursery rhymes. But the one series that my older daughter has been most interested since she was 6 months old is Dave and Ava on YouTube. We discovered them through the use of the YouTube Kids app on Android. Here's the link to their YouTube channel. Dave and Ava's slogan is "Rediscover Nursery Rhymes!" Compared to many of the other related cartoon series on YouTube, Dave and Ava is on the higher-quality side. The animation is excellent and the singing and music is generally top-notch. They have very long videos, too. While they repeat the same ones over and over again, it means you don't have to change the video for awhile. This seems to be the case with most of the nursery rhyme videos. But, Dave and Ava's are the ones that capture my daughter's attention the longest. The animation is superb and the quality of the songs is pretty good. They also have videos that teach ABC's, counting, colors, phonics, and more. Besides the nursery rhymes, they cover a lot of good educational material. Some of the videos are especially amusing. 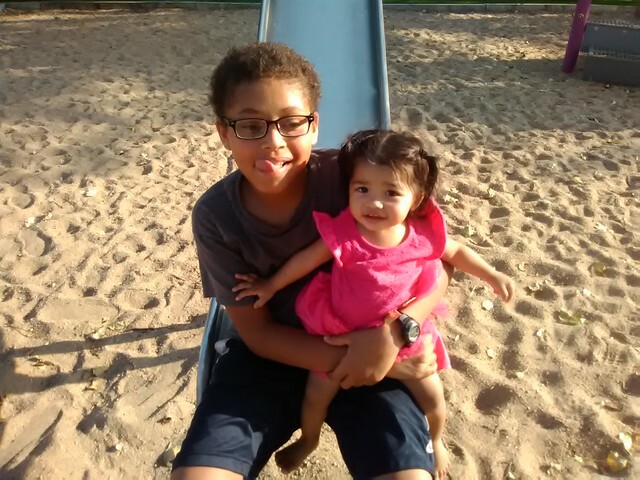 After you hear them literally hundreds of times, they get old, but she and her younger sister still enjoy them. If you have a child ages 0-6 and you're looking for a good video series on YouTube for your child to watch, I'd definitely recommend this series. Dave and Ava also have a mobile app for Apple and Android, which you can subscribe to monthly or yearly. The app also features some other activities, as well. For ad-free entertainment that can last your child months or years, it's a good deal for Apple or Android device users. Dave and Ava currently put out new videos regularly on YouTube. If you know any other really good YouTube video series for kids, let us know in the comments! So, what is this secret method? Well, it may not be a secret, but sometimes we don't think about it. What I suggest doing is keying in on your child's interests to form your lesson plans. This can work for homeschool or just plain studying. First, you should make a list of the top ten things your child enjoys the most. Next, using this list, think of ways you can use these interests to help your child learn. Here's an example of a miniature plan for a hypothetical child named Johnny. Keep up the rhythm to enhance learning skills. In Johnny's case, his mom continues to play games like this with him, being sure to show him visually what she is talking about. For reading, Johnny's mom purchases a few different computer games that enhance reading and comprehension because Johnny likes video games. Since he likes games with action, she makes sure that all the games have plenty of that. The video games are played at least 3 times per week. She also makes sure that Johnny has fun practice for both subjects every day. Sometimes the games she makes up are the same and sometimes they're not. Read Across America Day is an annual holiday celebrated across the United States. This reading holiday was started on March 2, 1998 by the NEA, or the National Education Association. Everyone is encouraged to celebrate reading on Dr. Seuss’s birthday (March 2) every year. Read Across America is actually a literacy campaign that lasts all year. However, Read Across America Day is still important, as it encourages the promotion of everyday reading and gets free books out to students and schools across America. How Can Your School Or Organization Celebrate Or Get Involved? There are many ways to celebrate or get involved with this special day. Find great ways to celebrate on Seussville, including printable activities and guides. ReadingRockets is also offering free downloadable print guides for parents, teachers, and anyone else interested in improving children's reading achievement. They also link to similar free publications from other sources. Another idea on getting involved is to volunteer to read to children at schools, hospitals, and daycare centers. To do this, you will need to contact the appropriate departments at the locations you are interested in offering your services to. Simply celebrating the holiday by reading with or to your children or students and holding your own events and activities also helps to promote this special day. Some teachers and parents like to use t-shirts and other fun gear to get children excited about Read Across America Day. LEFbooks.org (The Literacy Empowerment Foundation) is giving away free books to literary organizations and schools across America, for a small handling fee of 65 cents per book. They do this throughout the year. To promote Read Across America Day, help a teacher or organization become aware of this or request some books for your own literary organization. The books are currently for reading levels from Preschool up to grade 2. How We Celebrate and You Can Too! As a homeschool teacher and public school parent, I also happen to be celebrating Read Across America Day with my kids. In the past, we’ve made hats similar to the one worn by the "Cat In The Hat" in Dr. Seuss's books. The children could then wear the hats and read Dr. Seuss stories aloud to one another. We’ve also attended library storytime events. Usually, we get out and do a variety of activities throughout the week of Read Across America Day. Although we read a great deal every day, I still feel it is important to celebrate this day and let the children know just how important reading is. Any other ideas you have related to celebrating reading and motivating children to read will also help to promote and celebrate Read Across America Day. There is no exact formula or limit to reading, celebrating reading, or promoting reading. Simply get out there and do it. Is your kindergartner ready to move on to the first grade? Does your child have all the essential skills to have a smooth transition into longer days and more work? Use the list below to help determine if your child is ready for the new challenge. This is a checklist of skills your child should have learned in kindergarten. If your child has mastered the first grade readiness skill, you can check it off. If your child still needs to work on a skill, take note of it and help prepare your child for first grade. The summer break before that next grade level starts is a great time to practice these readiness skills. 1. Does your child know the entire alphabet, along with all the accompanying sounds in capital and lowercase? 2. Does your child read two and three letter words easily? 3. Does your child count from 1 to 100 and back down from 100 to 1? 4. Does your child understand, create, and identify simple patterns? 5. Does your child write his/her first and last name? 6. Does your child write simple sentences, such as "The cat is fat"? 10. Does your child write all of the numbers between 1 and 100? 12. Does your child recognize and identify basic shapes? 13. Does your child recognize and identify basic coins (dollar coin, 50 cent piece, quarter, dime, and nickel) and their value? 14. Does your child know the difference between consonants and vowels? 16. Does your child know that sentences start with a capital letter? 17. Does your child know that sentences end with a period? 18. Does your child know that questions end with a question mark? 19. Does your child tell time on the hour and half hour? 20. Does your child understand and recognize rhyming words? 21. Does your child recognize and understand one-half? 22. Does your child speak in complete sentences? 23. Does your child mark vowels in a word or sentence if asked? 25. Does your child read months and days on a calendar? 26. Does your child make it until 4 pm without a nap? If your child can complete these skills well, she should be well prepared for first grade. While this may not be an accurate list for every school district (as standards vary), it can help you determine some of the skills required for your child to start first grade smoothly. If you notice that your child lacks some of these essential first grade skills, do not worry or stress. Take time out each day to focus on one skill at a time. Not all children learn things at the same speed. Each child is unique. While one 6 year old may be able to complete them all or be ahead of them, another 6 year old may only be able to do 10 or so. The important thing to remember is to take it slow and not get frustrated with your almost first grader. Just because "Sally" can read a chapter book, it does not make her better than "Susan", who cannot. Try many different methods of teaching your child a first grade readiness skill. If one method doesn't work, try another. Children whose parents focus on the positive efforts they make, rather than the skills they can't master, fare better in school. A child who is yelled at, rushed, or forced to do schoolwork is more likely to fail in school than a child who is encouraged for her strengths, rather than belittled for her weaknesses. When making the decision to homeschool your children, there will be a variety of things you'll need to be aware of. Some of those things include laws, where to find resources and materials, how to plan a schedule and curriculum, and even record-keeping and grading. Elementary record-keeping is often simpler than during high school (and possibly also in grades 6 - 8). This is due to the necessity of transcripts and course credits in higher grade levels. As a veteran homeschool mom, I've tried many record keeping methods. What Records and Grades Will You Track? This might seem like a question that has a simple answer, but it may not. Does your state require attendance records? If so, you will need to record attendance daily. Even if they do not, this is something you just may want to have for your personal records. This way, if any questions or issues related to attendance or truancy come up later, you always have it for reference. Some states require records of the lessons or materials used to teach the children, as well as grades and scores received daily and on lessons. Some have no regulation or requirements on this at all. Do I Really Need to Track Everything? Whether your state requires it or not, you may choose to record this information for your own personal information. You never know when the information will come in handy personally or professionally. It is always better to have too many records than it is to be caught off guard and have none. While some states require no record-keeping and are not allowed to inquire about your child's studies, other states are allowed to ask and you are required to provide that information when asked. Outside of following regulations, keeping records will help you keep your child on track. Teacher's planners can be purchased at office supply and teacher supply stores. There are also many homeschool sites that offer printable plans. I personally prefer to use a combination of my own forms and a few quality ones I've found online. Remember that you are going to need several things, including attendance forms, grade sheets, report card sheets, a curriculum and material list, and more. Those are the basics, but your state may ask for more. Determine how often you will take down grades and what exactly needs to be graded. You can determine this by evaluating your individual needs and comparing it to state requirements. You may have extra tracking that you would like to do outside of what is asked for. Because you are the teacher, unless your state requires a specific method, you can choose how to determine grades. You may simply follow what is done by area schools, operate on a pass/fail plan, or opt for something else. As long as your method is in compliance with area regulations, being consistent matters more than the method itself. *Please note that laws and requirements vary by area. Please check with the area Department of Education to see what is required in your state. This guide is meant for informational purposes only.